Like I’ve said before, I’m a sucker for trying new beauty products, especially ones claiming to improve hair and skin! A couple of months ago, I saw a post on JJ Smith’s Facebook page claiming that collagen could improve hair and skin, and lord knows my hair always needs help, so I figured why not try it?! I started on March 8 and just finished the container last week. I can’t say it caused my hair to grow down my back or anything but I’ve definitely noticed faster hair growth. If I didn’t have so many other issues going on with my hair causing breakage, I really believe I’d notice a huge difference, but all in all, my hair did grow faster. I’ve also noticed stronger, longer nails. So, if you’re looking for something to help with nail growth, then you should give this product a try. I already drink a heaping of water a day, and I don’t really have many problems with my skin, so I can’t really say that I’ve seen a difference in my skin while using this, but I have noticed softer skin, so maybe that’s a benefit from using this product. For the $11 I spent, I’d definitely say it was worth it and I plan on continuing using daily. I add a scoop to my smoothies every morning. 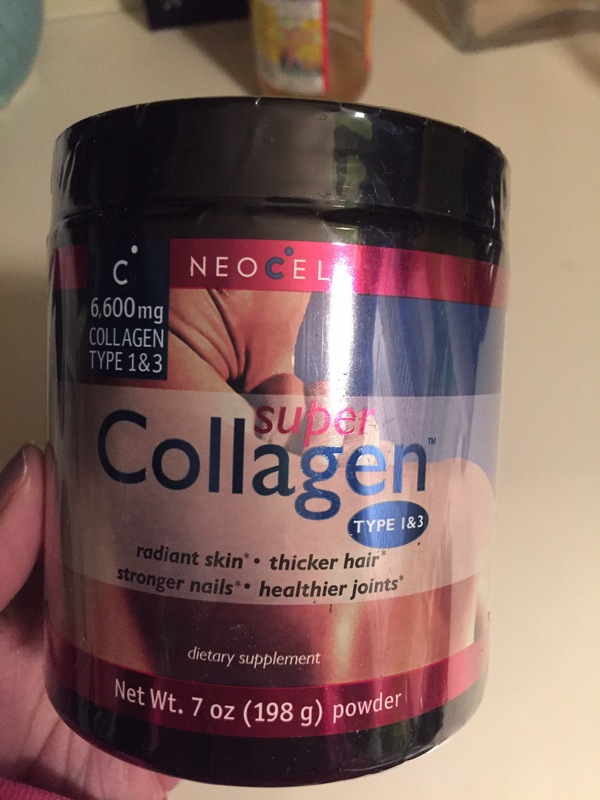 The best way to take collagen is before bed, on an empty stomach, mixed in juice or water. It gets absorbed through the stomach so other foods interfere with absorption. Also, it works best when growth hormone is in play, regenerating your cells while you’re sleeping. May I suggest trying again with another container? Don’t eat 2 hours before bed and when you wake up, you’ll notice a difference in your skin. When you’re especially tired, take a double dose.